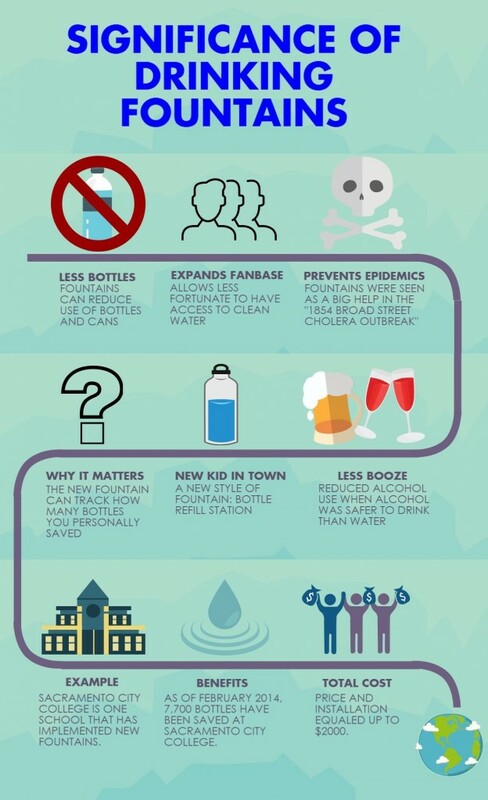 On campus drinking fountains should be highlighted as a major source of water and water waste. Although they most likely aren’t the first thing we think of as water wasters, they definitely contribute to the amount used. There are two types of drinking fountains on campus. One is the traditional fountain where you push a button and water comes out. The other is a new style aimed with sustainability in mind. The most striking part about the new fountain is that it can refill bottles. This allows for one person to reuse a bottle consistently rather than waste money and resources on plastic bottles. 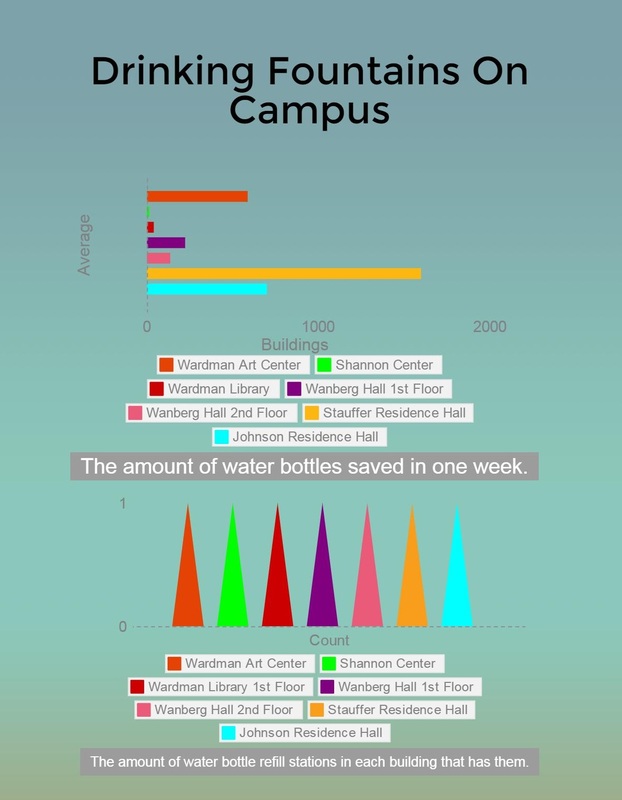 It also tracks how many bottles are not being used each time one of these fountains is in use. While recycling is necessary to cut down on waste, reusing bottles helps by having less materials needed to be made from the start. The company Whittier orders these fountains from is a company called Elkay. The “Filtered Enhanced EZH2O Bottle Filling Station with Single ADA Cooler- Light Gray” is the specific style that can be seen on campus (the fountain comes in a stainless color as well). The listing price for the gray colored fountain is $1,568 (actual selling price might vary and excludes price of installation). For the stainless colored fountain, the listing price is $1,627. **It should be noted that the process for changing out all the old fountains for these new, bottle-refilling stations is unclear as of the moment. “Drinking Solutions.” ELKAY. N.p., n.d. Web. 18 Nov. 2015. “1854 Broad Street Cholera Outbreak.” Wikipedia. N.p., 22 Apr. 2008. Web. 7 Oct. 2015. “UCF Stadium Getting Water Fountains After Opening Day Debacle.” WFTV. N.p., 18 Sept. 2007 Web. 22 Oct. 2015.